When the weather turns cool and little ghouls come out for trick-or-treat, many households tend to have a lot more candy around than usual. This can continue from the beginning of fall with seasonal treats, including homemade goodies, all the way through Thanksgiving when company comes to visit. Pets love all of the smells and tastes of the season, just like we do, but many of the seasonal treats that we enjoy can be dangerous for them. If your pet ingests any holiday treats, contact your southeastern veterinarian at the Anchor Animal Hospital and Veterinary Clinic in Dartmouth. In some cases, other items get ingested too, requiring an ultrasound exam for pets. Keep reading for more information and seasonal pet tips about fall candies and treats. The more knowledge you have about what is safe – and what is not safe – for pets during this time of year, the easier it will be for you to help protect them. You might think that a little piece of candy corn or other little candy wouldn’t be a problem for your pet, but it can be. Even if you have given your pet candy in the past and haven’t experienced any issues, all that sugary goodness can cause a severe case of gas and diarrhea. Pets digest things differently than people and, while they enjoy a sweet treat just like we do, it just isn’t safe. Sugar can cause an increase in bad gut bacteria and it can also cause water to be pulled into the colon – both of which can lead to a very bad (and sometimes dangerous) case of gas and diarrhea. Our four-legged friends have great sniffers, and they can sniff out yummy treats even through the wrappers. We have seen many pets at our veterinary clinic in Dartmouth who ingested the entire confection – wrapper and all! This can pose a huge health risk by causing an obstruction in the digestive system. In some cases, the pet will pass the wrappers without any incident, but it is best to make sure that you remember to keep all holiday candies up and away when you are unable to supervise them. 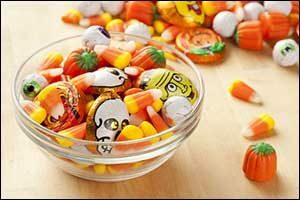 If you suspect your pet has ingested candies and wrappers, contact your southeastern veterinarian in Massachusetts right away. Our dogs see us enjoying hard candies, which can look like dog treats because of their size and shape, so of course they want some too. Unfortunately, hard candies pose a major risk for choking because they are easily inhaled into the wind pipe. Hard candy becomes slippery when it gets mixed with saliva, so it is best to keep it away from your pets. Because hard candy is enjoyed all year-long, don’t chalk this one up as seasonal pet tips. Keep hard candy away from pets throughout the year. Most pet owners are now aware that chocolate is an extremely dangerous thing for pets. It can cause severe diarrhea and vomiting, but it can also lead to seizures and is potentially fatal. One particular combination, chocolate-covered raisins, delivers dogs a double-dose of dangerous ingredients. Raisins, grapes and all other grape products, can cause kidney failure. If your dog consumes chocolate-covered raisins, make sure to bring him to our veterinary clinic in Dartmouth right away. Even if you don’t see any signs of vomiting and diarrhea, it is important that you get him to a southeastern veterinarian in Massachusetts right away. Don’t think that by giving your pet sugar-free goodies that you are doing him any favors. Sugar substitutes are notoriously dangerous to pets, particularly Xylitol. While this substance is safe in people, it can be deadly if it gets consumed by dogs. It happens fast. Within minutes of ingestion, a very severe drop in blood sugar can occur, causing dogs to become lethargic, have seizures or become unable to walk. If they are able to survive the initial symptoms that come on after consuming Xylitol, they will most likely have severe liver damage and, quite possibly, liver failure. Sugar-free candies are by far the most dangerous candies for dogs and should be avoided at all costs. Take advantage of the quality services available at our veterinary clinic in Dartmouth. In addition to regular exams and preventive treatments by our southeastern veterinarian in Massachusetts, we also provide emergency veterinary services. Whether you need an ultrasound exam for pets, pain management treatments, surgery or emergency care, Anchor Animal Hospital has the equipment and the experience to provide all of the services that your pet needs. Give us a call at 508-996-3731 to schedule an appointment or for more information and seasonal pet tips!